Posterstein lies in a region where earth is shaking regularly. 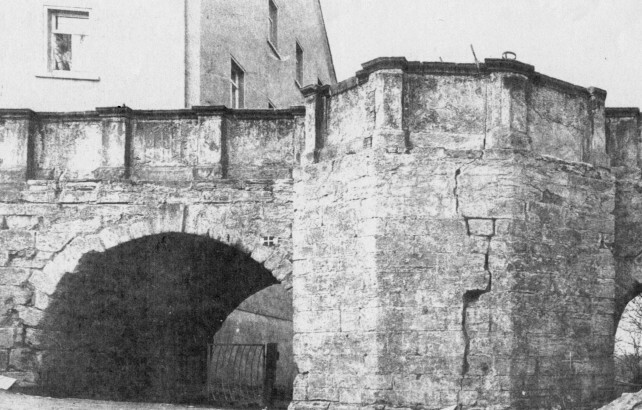 The heaviest earthquake was the so called “Middle German earthquake” in 1872. Its centre was between Posterstein and the nearby town Schmölln. Karl Theordor Liebe (1828-1894), who was professor at the Royal Highschool in Gera, described the damages of the earthquake in Posterstein. Among others he wrote, that the castle’s keep had been shaking and bigger rocks had been rolling down the hill. It was also back then when deep cracks accured in the bridge and the keep’s three metres thick walls. The cracks in the bridge were restored in 1997, the ones in the keep only in 2013. They can still be seen from inside. Ernst Bräunlich’s geological collection was bought by the museum in 1993. It mainly consists of samples of different stones from the region and of the documentation of the places, where they were found. The museum’s permanent exhibition includes a room on regional geology. The aim was not to give a complete overview of the subject, but a small teaser to make people curious and maybe visit more specialized museums, as eg. the “Objekt 90” in Ronneburg, which decribes the history of the local uranium mining in GDR times. The exhibition in the Museum Burg Posterstein wants to give a short overview of the regional geology. One bigger subject is the uranium mining (Wismut) in East Thuringia until 1990. A further part of the exhibition gives information about the earthquake situation in the region. Since 1980 the Friedrich-Schiller University in Jena has been doing measurements permanently in the region. The former measurement station was moved from Posterstein to the nearby village Heukewalde. The data from Heukewalde (short: HKWD) can be checked on the university’s website. Recent incidents are listed on the website of the village Heukewalde. Traditionally research focus lies on the documentation of earthquake swarms in the region Vogtland/North Vest Böhmen. 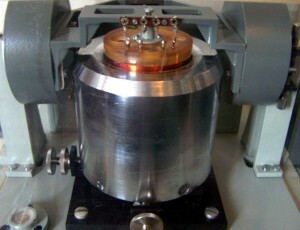 In the exhibition a seismometre (picture above) illustrates this research. 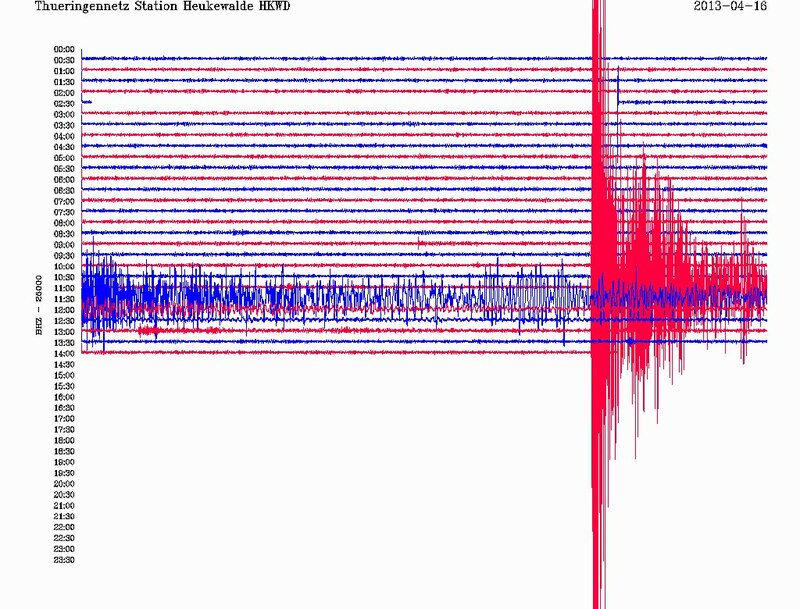 Real earthquakes and ground vibrations caused by visitors are shown on a monitor. On our pages on Facebook and Twitter we update on recent seismographic incidents.